Celebrated for its extensive collection of designer cakes, Cha Bei is presenting a new signature afternoon tea set with an all new range of sweet and savoury treats, featuring Longjing tea-smoked salmon sliders, Earl Grey scones served with house signature banana jam, fig canelé, as well as chocolate lollipops made with six variations of chocolate, and more. 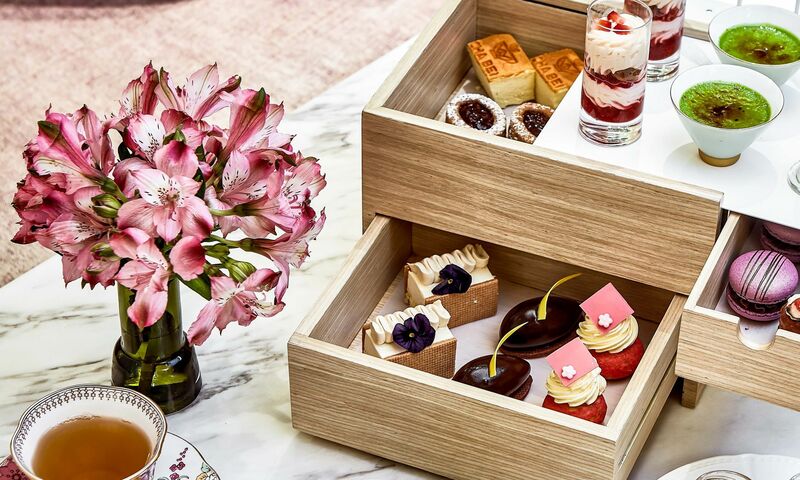 The afternoon tea set is complemented by the establishment’s wide range of artisan loose leaf teas, hearty and rich hot chocolate or coffee. The new afternoon tea sets are available dine-in only and is available daily from 3:00 pm to 6:00 pm. The tea set is priced at MOP528 for two.